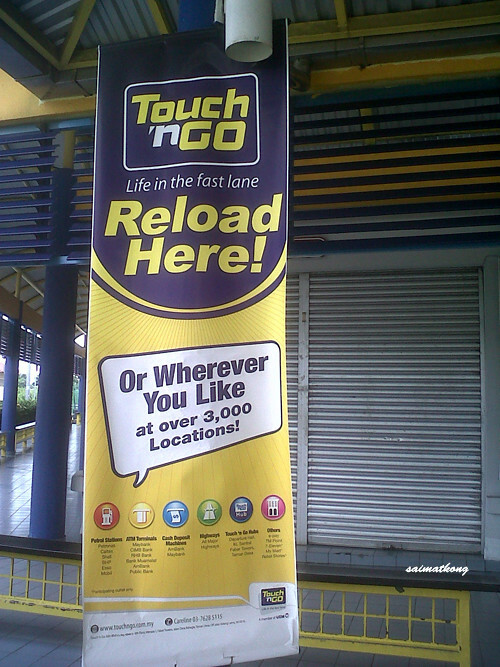 Do you use Touch ‘n Go frequently as much as 80 transactions per month for toll? 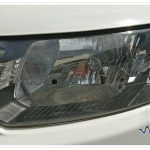 Yes, I do… I have my rebate! 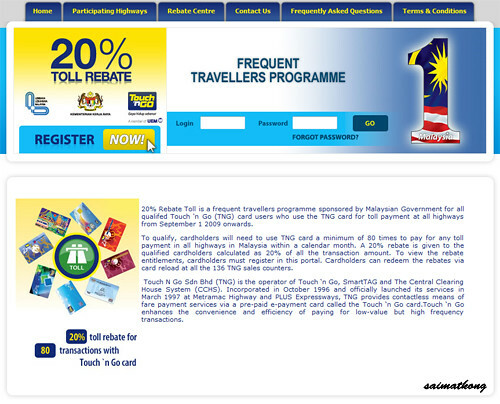 If you are frequent highway user, why not get yourself a Touch ‘n Go card and enjoy the 20% rebate from the initiative of the Government? 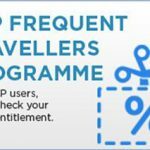 Get yours now if you want to save more! 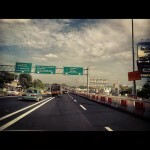 Today, just only I get my rebate @ Touch ‘n Go counter beside Sunway LDP toll for RM99.70! 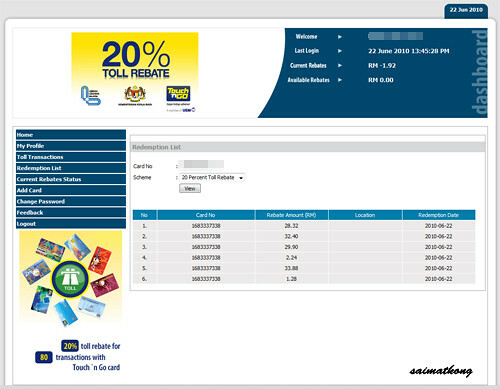 Yes, RM99.70 that much because I use LDP frequently and 4 transaction per day! 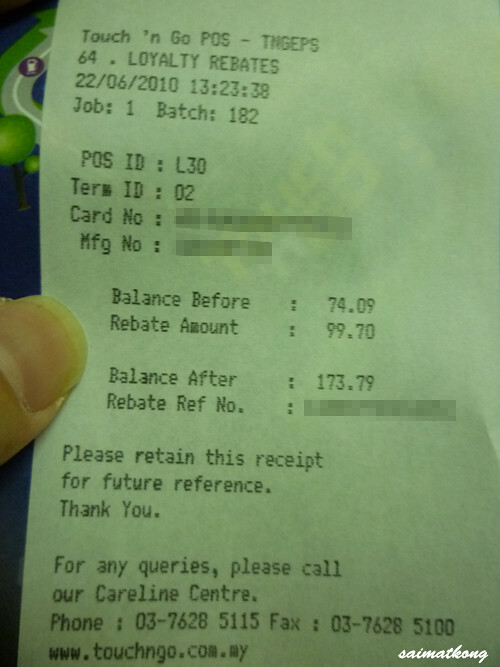 When I get my rebate RM99.70 I asked the counter girl why so little because I checked on the system it showed RM128.02, she replied only RM99.70 displayed from the rebate system! 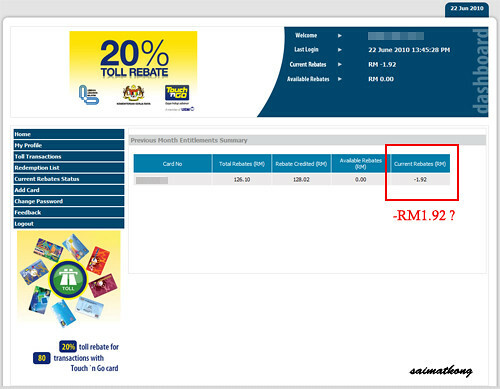 I wonder why in the system it shows rebate credited RM128.02 and in actual fact I only get RM99.70?? System flaws? 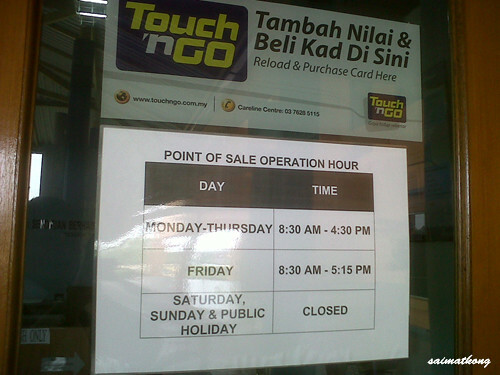 Not only that, in the system it showed -RM1.92, meaning I owe Touch ‘n Go RM1.92?? I demand my money back! 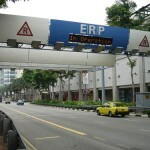 Rebates for regular LDP users – Good or Bad? 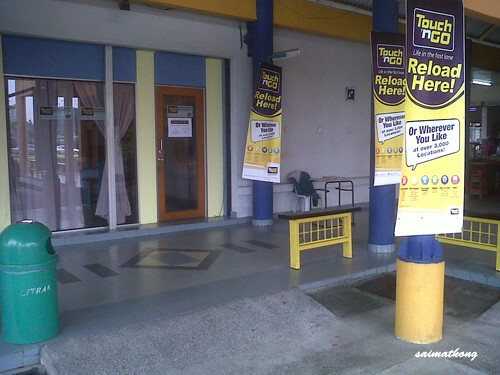 Rais: Any smartphone for youths is now eligible for RM200 rebate. 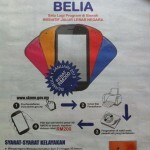 Government lifts smartphone cap without RM500 ceiling price! Oh that’s another discount on top of what we getting now? 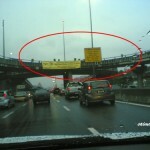 Yah, can’t enter the link it’s in maintenance and being redirected away.